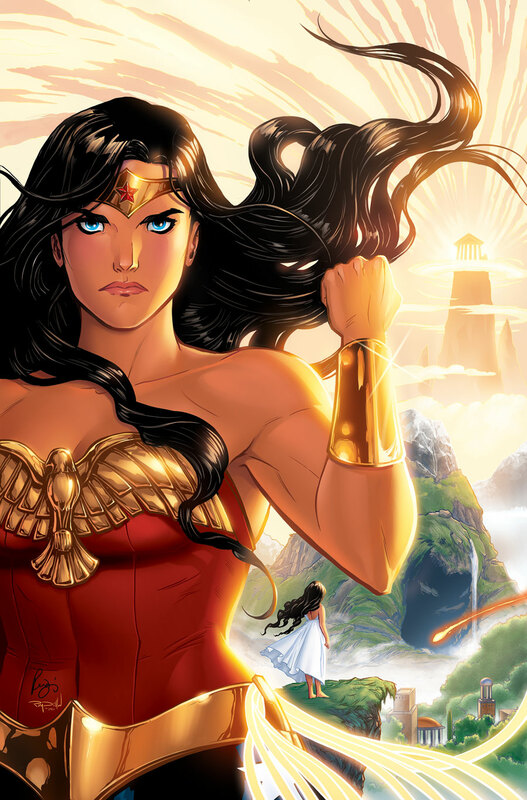 It's been known for quite some time that writer and artist Renae De Liz had a sequel planned for her hit miniseries Legend of Wonder Woman, and even pitched another comic that explored the history of the Amazons in depth. I'm so excited to announce that @DCcomics has officially green lit LEGEND OF WONDER WOMAN - Volume 2!!! I, for one, am very excited for this news. Not only am I happy for both De Liz and her husband Ray Dillon for getting the opportunity to continue telling their story, but it's also refreshing to see another comic set within DC's Golden Age/Classic Earth-2 continuity and see it handled with a lot love and respect for this particular era. In addition to making the Golden Age/Earth-2 fan in me happy, I do strongly feel that De Liz and Dillon have created a Wonder Woman story for the ages, and there is definitely a lot more that can be done with their version of the character. Through meticulous planning and thoughtful execution, they've established a new status quo for the Golden Age Wonder Woman that not only brought her back to her roots, but provided a strong foundation for future stories. Not only did their miniseries feel like a Wonder Woman origin movie that warranted a sequel, but throughout the series itself, De Liz and Dillon consistently made references to other DC Comics characters, effectively planting the seeds for the development of the larger DC Universe, specifically of the Golden Age variety. In issue #4, for example, the existence of Aquaman was alluded to by a fisherman confirming he had found Atlantis while at sea. In issue #5, Diana was seen conversing with a young Perry White, who will later become the editor in chief of the Daily Star, and the future boss of both Lois Lane and Clark Kent, the latter of whom is Superman. In that same issue, a man named 'Kent' was mentioned the army recruitment office, potentially alluding to Kent Nelson who did fight in the second world war and became the superhero known as Doctor Fate. In issue #6, the Justice Society is mentioned by Etta Candy as having a fan club, effectively confirming that they are active during this time. Even a very young Alfred Beagle (called Pennyworth in the miniseries) made an appearance to assist in Etta Candy's stage performance, alluding to his past as a stage performer. We also know as readers that he later becomes a butler to Bruce Wayne who becomes Batman, and he later becomes an important character to Bruce's own daughter, Helena Wayne, when she becomes the Huntress as an adult. Within nine issues alone, there's been a lot of world building and a lot of setting up for Diana's future interactions with DC's other Golden Age heroes. There are definitely more stories left to be told, and I especially can't wait to see what else De Liz has in store for our heroine in Volume 2. I know I'm definitely looking forward to future reviews!